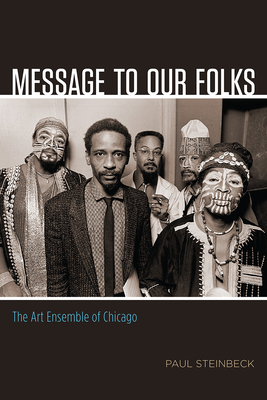 This year marks the golden anniversary of the Art Ensemble of Chicago, the flagship band of the Association for the Advancement of Creative Musicians. Formed in 1966 and flourishing until 2010, the Art Ensemble distinguished itself by its unique performance practices—members played hundreds of instruments on stage, recited poetry, performed theatrical sketches, and wore face paint, masks, lab coats, and traditional African and Asian dress. The group, which built a global audience and toured across six continents, presented their work as experimental performance art, in opposition to the jazz industry’s traditionalist aesthetics. Paul Steinbeck is assistant professor of music theory at Washington University in St. Louis. He is coauthor of Exercises for the Creative Musician, as well as a bassist, composer, and recording artist. "Paul Steinbeck's fine new biography of the band is a scholarly, forensic study. . . . A fairly brief, fairly serious but highly effective biography, a must for general fans."